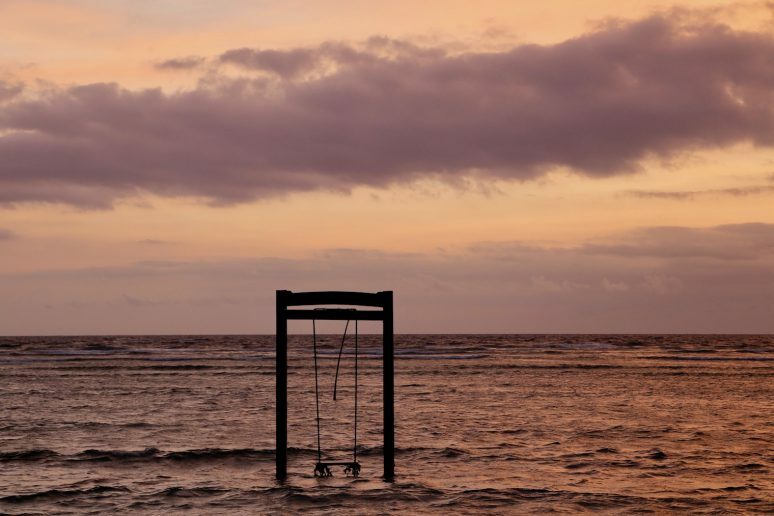 Gili Trawangan, mostly known as Gili T, is one of the most beautiful and scandalous islands in Indonesia but faces some extreme environmental challenges. With this in mind, partying tastes a whole lot better when it’s not compromising the place enabling the celebration in the first place. 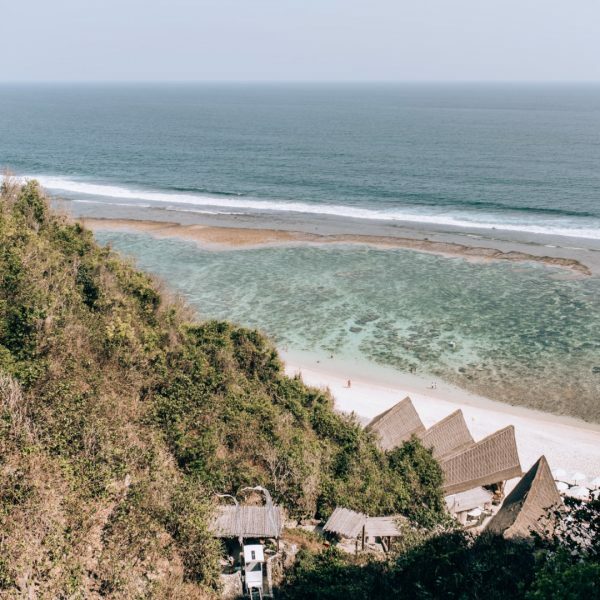 This is what I gained a deeper appreciation for when visiting the Gili Eco Trust organization on Gili T. Before any kind of trip, I investigate how I can get involved in local environmental efforts, and as I researched my trip to Bali, interesting details about this island trickled in. Not long after I began my search, I learned about an organization called Gili Eco Trust doing a wide array of work, from fighting plastic pollution to creating artificial reefs around the island’s small but paradisal coast. 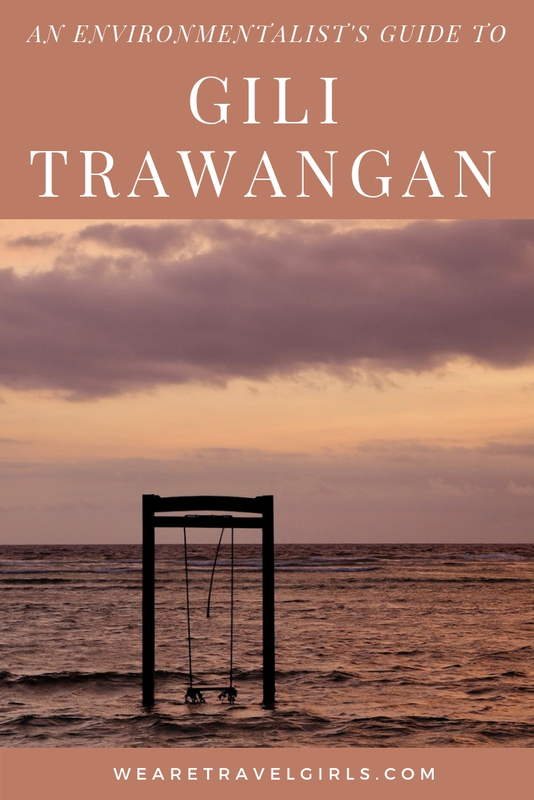 What I did not realize at this time of my research is that Gili Trawangan is considered one of Southeast Asia’s most popular party islands for visitors from near and far. From conversations exchanged to interesting sidelines I found online, I started to gain a fuller picture about what this mysterious little island slice is all about. Now, don’t get me wrong. I’m an environmentalist who loves to read, write and research, which may make it sound like I’m the more shy or introverted type. This is not particularly the case, as some of my friends love to vouch for. When called to the occasion, I love dancing, trying new drinks, meeting new people, and soaking up the essence of nighttime celebrations – twinkling lights, even brighter stars, and that effervescent feeling that anything is possible. So, I decided to take the leap, to get involved and give back with Gili Eco Trust while soaking up some of the wild offerings of this island. 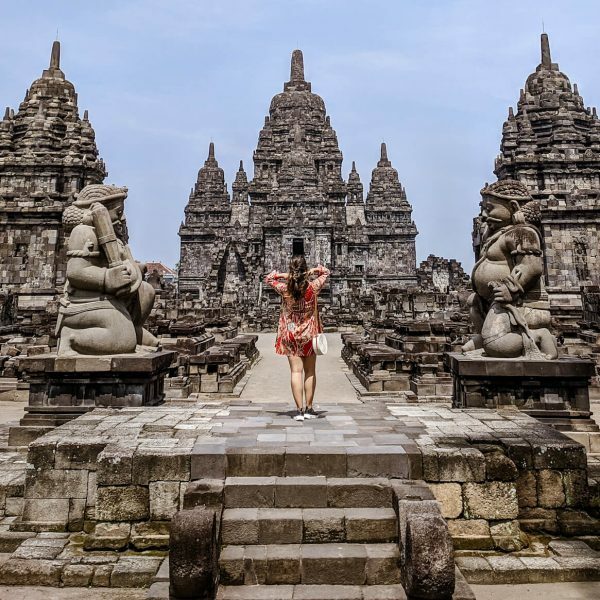 With my heart and stomach full from five days in Ubud, my dad and I headed to Gili T. At this point, some readers are probably thinking, she went with her father?! 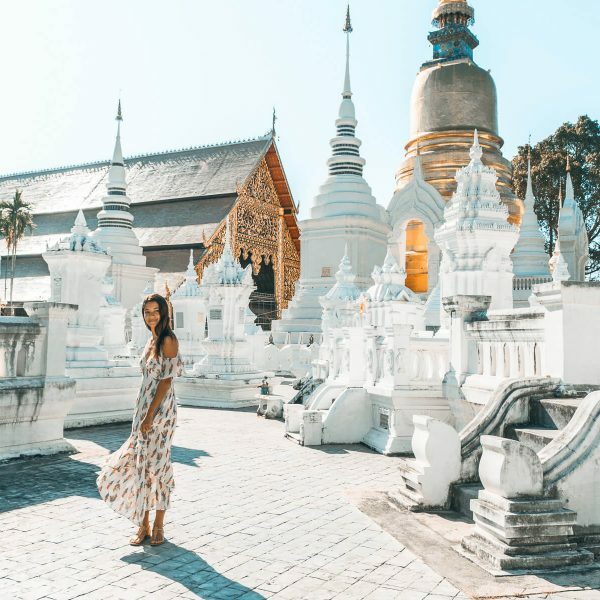 This would be a major concern for most young adult travellers, but the great thing about my dad is that he can party harder than I can, and charm more people into friendship through massage and eccentric conversations than anyone else I’ve ever met in my life. It’s really quite a gift and a show. We caught the ferry from Bali to Gili Trawangan at 10:30 am, and upon boarding, I noticed a lot of twenty-somethings already cracking their beverages. I thought to myself, a little early, but sure. As soon as the boat propelled, the rooftop bar opened for business, blaring top 40 hits and passing around Bintangs. As the wind blew my hair into chaos, I surrendered to the situation, getting my first taste of what this island would be like. And I’m glad I did, as I made friends amongst many of the travellers who would be part of my international gang of pals for the next few days. 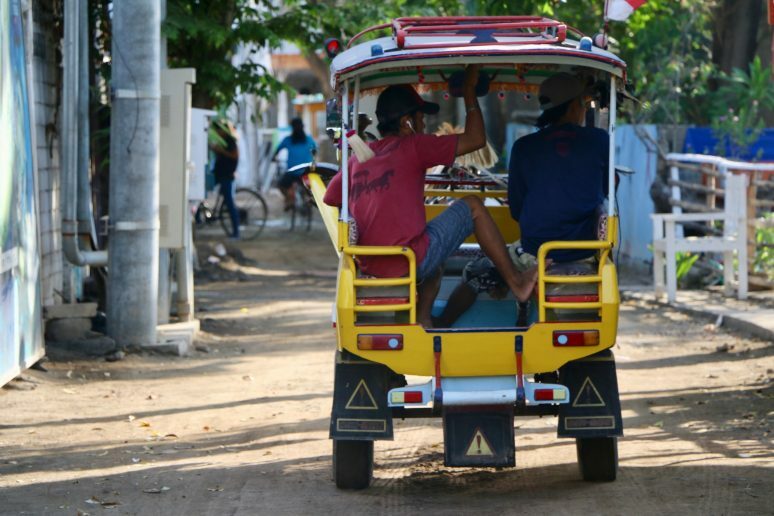 Arriving on Gili T, we welcomed the absence of scooters and taxis, as transportation on the island consists of pedal bikes or horse and cart, traditionally called a cidomo. After dropping our things off at La Sister Boheme, we headed to the Gili Eco Trust office to meet with the Volunteer Coordinator, Sian, to hear about their projects, challenges, goals, and then embark on the RE-cycle Gili Tour. Sian, a pixie-like British lady, explained the history and origin to us: the Gili Eco Trust was established in the year 2000 to protect and restore the coral reef around all three Gili islands, which had been imperilled by previous year’s fishing industry. It was incredible to hear this story, and to connect with Sian: truthfully, I could have discussed everything with her for the rest of my time there! All Gili Eco Trusts efforts extend from their mission, which is to create a sustainable island, to promote ecotourism and provide a healthy environment for working animals, to restore the coral reefs and to replenish the natural fish populations, and to ensure that all waste created on Gili Trawangan is reduced to minimum levels and managed and separated properly for recycling projects where materials can be transported off the island. Now that is a balancing act! One of Gili Eco Trust’s innovative practices includes restoring the islands coral reefs through Biorock, which entrails submerging steel structures in the sea and running a low voltage current through these structures. What happens next is magical: the current attracts minerals in the water, which then attach to the steel structure and form a calcium carbonate coating. This then provides a stable foundation for coral reefs to be attached to. The corals transplanted onto these artificial reefs are also more resilient to storms and bleaching, which is essential for ecosystems to withstand the worsening impacts created by climate change. Unfortunately, I didn’t do any snorkelling to see the Biorock but did manage to score a paddle board and head out with a new friend to neighboring Gili Meno island, seeing the Biorock through the looking glass of the ocean’s surface. Since the wind and swell were strong, the owner of the shop didn’t believe we would make it, which made it all the sweeter when we landed on Gili Meno. We conducted a #5mintuebeachclean once we stepped ashore, which was followed by the cracking of two Bintang at a nearby bar before starting our windy paddle back. 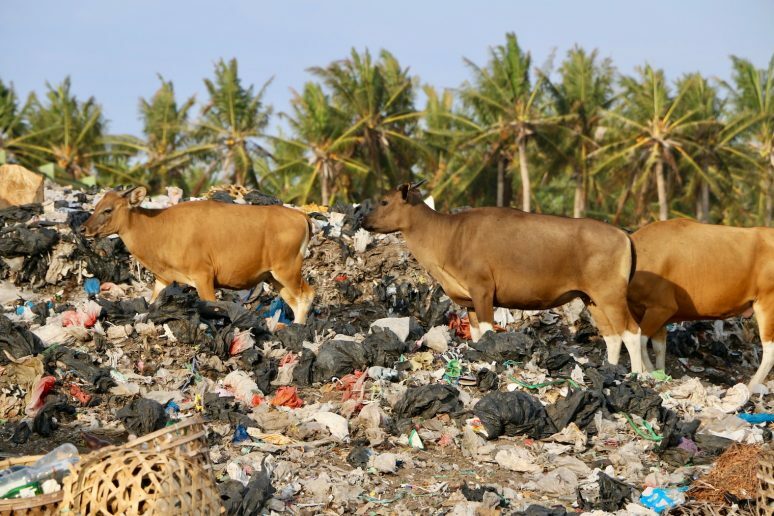 Like many tourist destinations, waste management is an ongoing challenge on Gili Trawangan: keeping up with the amount of waste produced with limited infrastructure and lack of capacity. 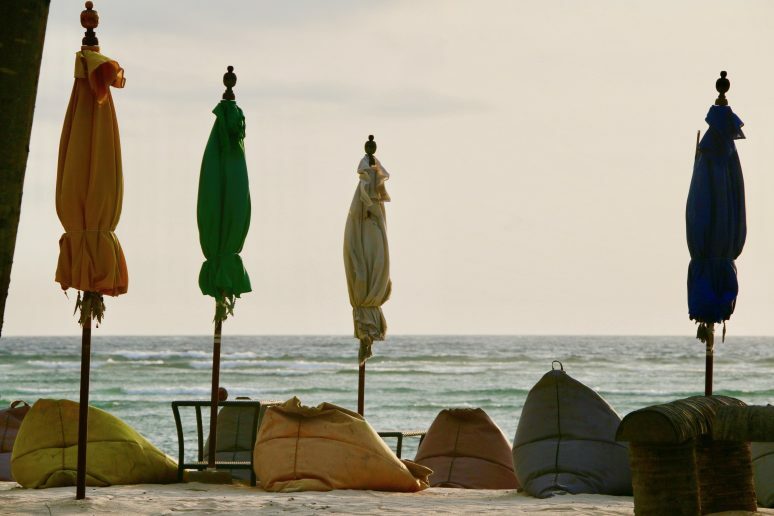 This is why Gili Eco Trust also focuses on this very important aspect of environmental care, working to lower plastics used by businesses, mitigating and cleaning the amount of litter created on the island, and recycling as much as possible. Gili Eco Trust set up the only recycling station on the island, Bank Sampah Gili Indah, which processes plastic, cans, glass, and tetrapak cartons. We visited this site to view this management in action, which included petting some of the beautiful ponies and scoping out the various waste blocks, including the very abstract looking tetrapak blocks. Ten to fifteen tonnes of the recycling blocks are removed every ten days from the island, to be recycled on neighbouring islands of Bali and Lombok. 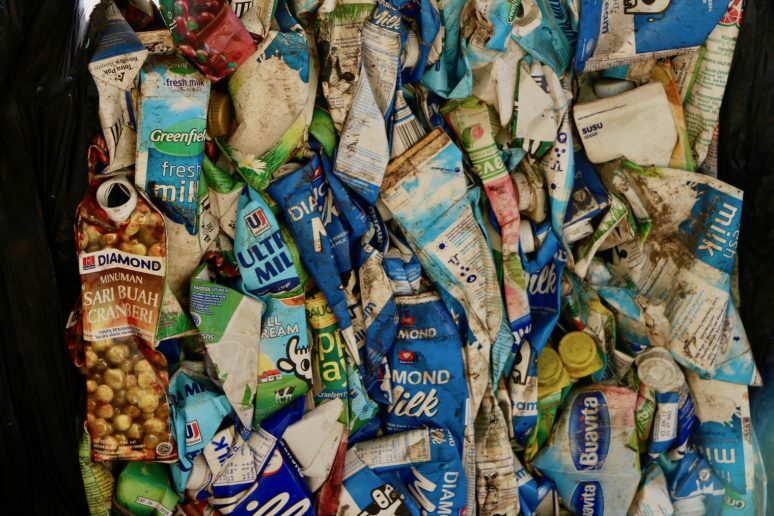 However, as Sian explained, up to 20 tonnes of waste can be produced per day in the busy month of August. Since I haven’t mentioned this by now, you can bike around this island in an hour, which gives some perspective on the incredible volume of waste generated from such a small place. 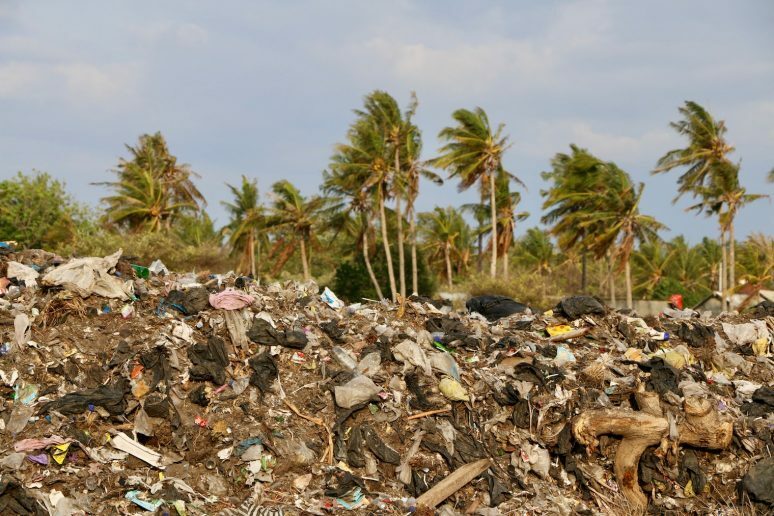 Of course, Gili Eco Trust’s aim of this management is to divert as much waste as possible away from the landfill, which is located in the middle of the island, the “dark side” as Sian described, in the centre of a sunny circumference. After the recycling centre, we biked on to immerse ourselves in this dark side. Other than ourselves, there was not a human in sight, the only fellow creatures were the cows looking for a possible next meal. Even at this site, which is the end of the line for Gili T’s waste, local staff are hired by Gili Eco Trust to collect any remaining recyclable waste. 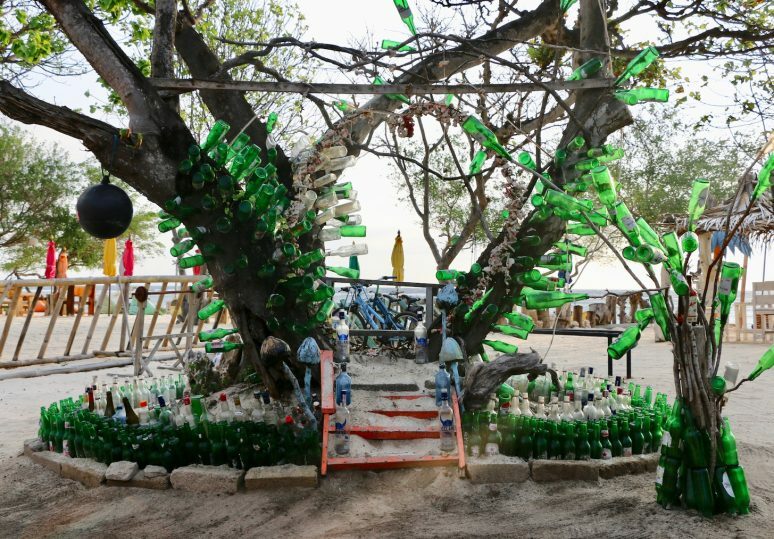 Another interesting aspect of Gili Eco Trust’s waste management efforts is finding solutions to glass. Unlike plastic, glass can biodegrade, but if it ends up in a landfill, it will become inert; unable to change form. 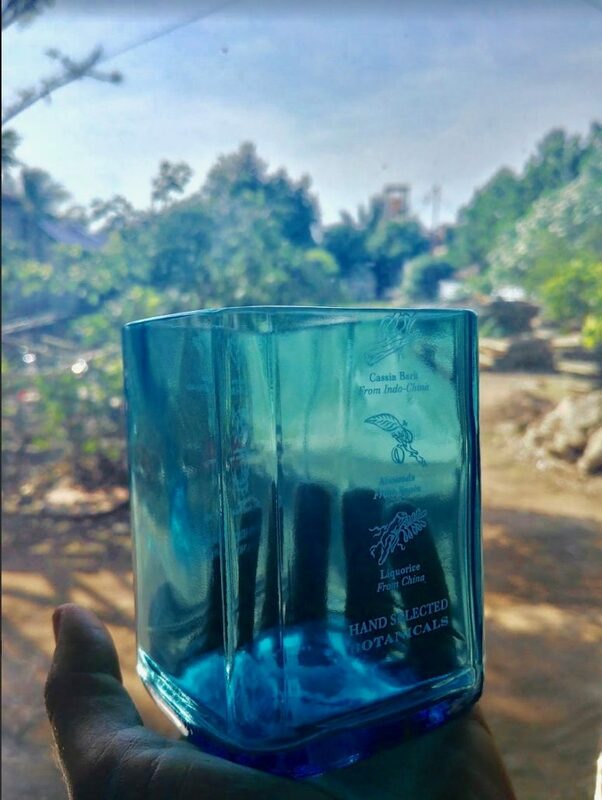 Glass is also a valuable resource, so Gili Eco Trust works with a local glass cutter to shape bottles into other functional objects, including drinking glasses, candles, ashtrays, and jewellery. Now, local businesses are buying the drinking glasses and getting their logos etched onto the glasses instead of importing new drinkware! 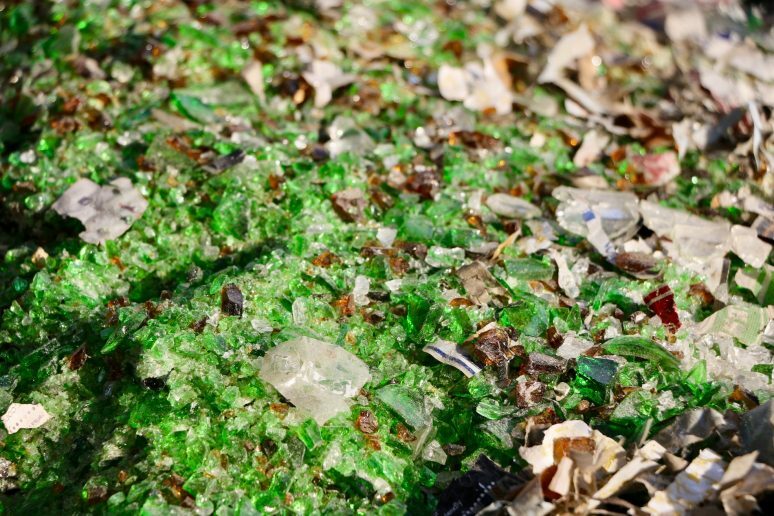 Gili Eco Trust also uses a glass crusher to manage excess glass, and they mix pulverized glass with clay to make eco glass construction bricks, which can be used for various building projects. Of course, this organization also offers weekly beach cleans on Fridays, removing plastic litter and marine debris from the shores of the island. All participants are then rewarded with Friday’s most favoured beverage, a cold beer! No matter where we go, we should seek out authentic and sustainable ecotourism activities that give back to the environment hosting us. Along with beach cleans, Gili Eco Trust also offers an array of ecotourism ventures, beginning at their office which doubles as an eco-souvenir shop. If you love being immersed in the sea, you should join their snorkel tour, exploring the Biorock structures, and swim among the island’s fish and turtles. 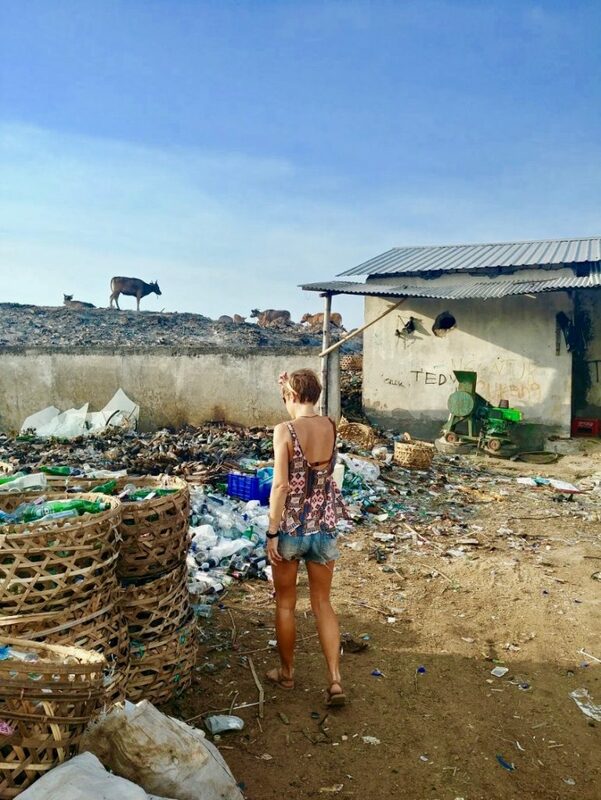 If you’re like me and are good at finding yourself in dirtier situations, then you will enjoy the RE-cycle Gili Tour as I’ve described through this article. You’ll see incredible parts of the island you’d miss otherwise, and broaden your understanding of this place. You can also join a Stand-Up Paddle Eco Safari, paddling from Gili Trawangan to Gili Meno, collecting floating marine debris as you travel. There is a variety of ways you can help support Gili Eco Trust, and if you’d like to spend more time in this area, you can volunteer for either 30 days or 2-6 months. During this time, you can help with all kinds of projects, from collecting and sorting plastic bottles, to delivering environmental youth education, and even get involved in cat neutering, programs and clinics. You can also spend two weeks creating your own Biorock artificial reef, which is an incredible offering as a traveller. Visit a new place, create a new ecosystem! You can also join any of the tours mentioned previously and share your story on social media to bring awareness to the issues this paradise is dealing with. You can also donate to protect and restore this lush land, which is timely since the island is getting built back up from the 7.0 magnitude earthquake that it suffered in August 2018, which left a lot of the island in ruin. When I visited, people were busy all day long rebuilding the island, which Gili Eco Trust has been helping to facilitate. Following natural disasters, environmental responsibilities can often get neglected, but it’s during these moments that tasks like waste management need to be fulfilled, seeing that the surrounding ecosystem does not suffer more damage. 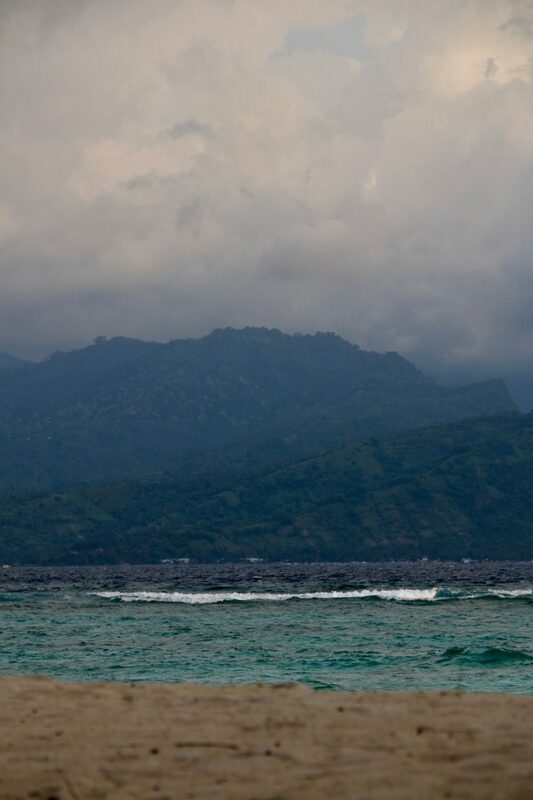 For this reason, I am so grateful for Gili Eco Trust, and their immense care for this island. For travellers like myself could go and still experience the magic of this place, support the local economy, and spread the story of how to make this part of the earth better. Being “naughty” and being good are not mutually exclusive, we can have the time of our lives and party it up while ensuring our actions do not pollute the planet. This goes for any destination we travel to and while we’re at home. In fact, I’m a major proponent of people enjoying life to the fullest, while they pursue environmental and social actions that make their heart sing. When I sink my toes into a beach that I’ve cleaned with newly made friends, I dance a little harder, and my heart always feels a little lighter. When I can share environmental conversations with fellow travellers during a night out, and inspire them to get involved, it magnifies my efforts and makes both my trip and my life that much more fulfilling. I hope all people reading this will take a leap next time they travel, and find a way to positively contribute to the place they visit. It is my deep belief that this is not an optional act, but a responsibility for all travellers to uphold. 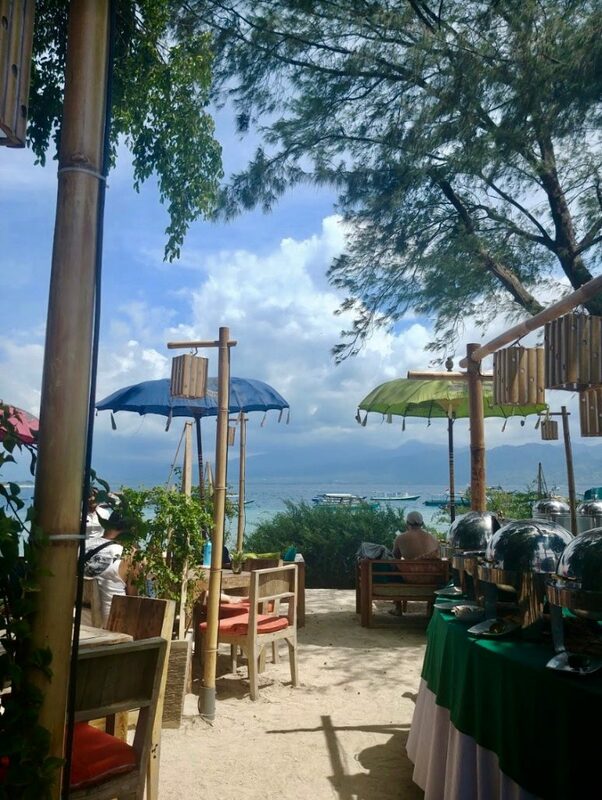 For everyone planning a trip to Gili Trawangan, you now have a roadmap for getting involved, and for making this corner of the earth a cleaner, more beautiful place for all to enjoy. 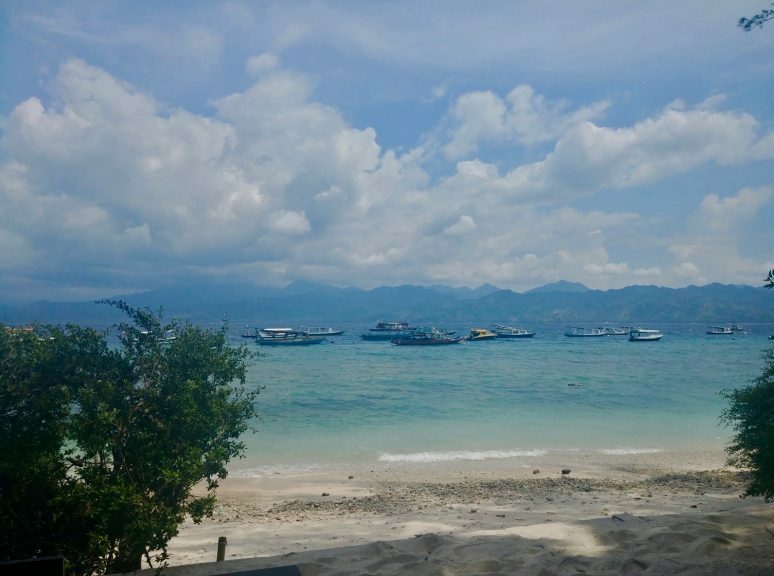 We hope that this article has inspired you to visit Gili Trawangan. If you have any questions about the destination or have your own travel tips to share please leave these in the comments below. How can you write an eco-related article about Gili T and fail to mention perhaps the worse horse abuse on the planet that is blatant here? Very disappointing. As long as the horses continue to be abused, there’s no way I care about the rest of this and no way will I ever return to support that place with my tourist dollars. Thanks for your feedback Cherene! 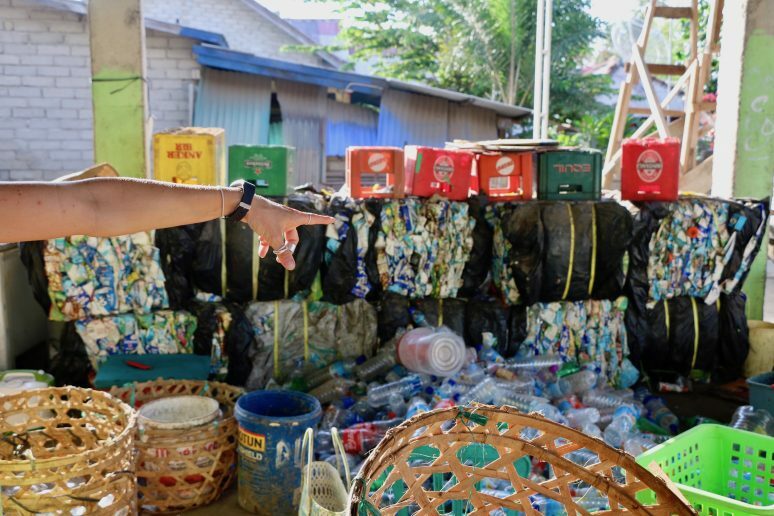 This article is primarily about the Gili Eco Trust and the recycling challenges that the island faces. We would love to feature an article about the treatment of the horses on Gili T, so please feel free to submit your own article at https://wearetravelgirls.com/contribute/. Thanks! As WATG mentioned, this article was primarily about waste management and plastics. 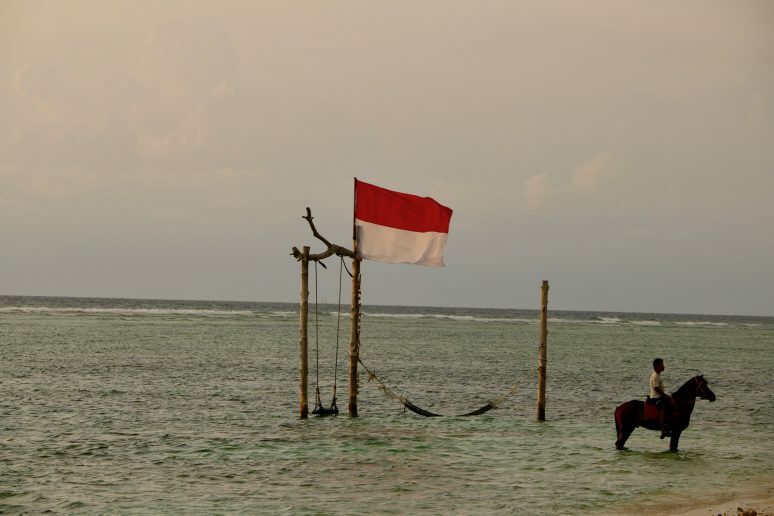 During my very short time on Gili T, I saw Gili Eco Trust treat the horses with the utmost care, so this was not something I was aware about until you have brought it up here. So, I did not fail to mention it, as you say, I just didn’t know. When discussing environmental and social issues, let’s please give each other the benefit of the doubt and help each other become more aware in a kind way. We are working towards the same goal so let’s help each other! As WATG mentioned, it would be great if you wrote about this, it could be an article about taking care of animals/becoming aware of how animals are treated whilst traveling around the world! I agree that this is an extremely important topic, and one that needs more passionate minds and actions behind it.